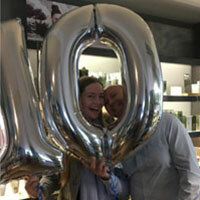 We would like to take this opportunity to say thank you to all our guests for their continued support and loyalty over the last 10 years, we wouldn’t be here without you. We look forward to the next 10 years….!! 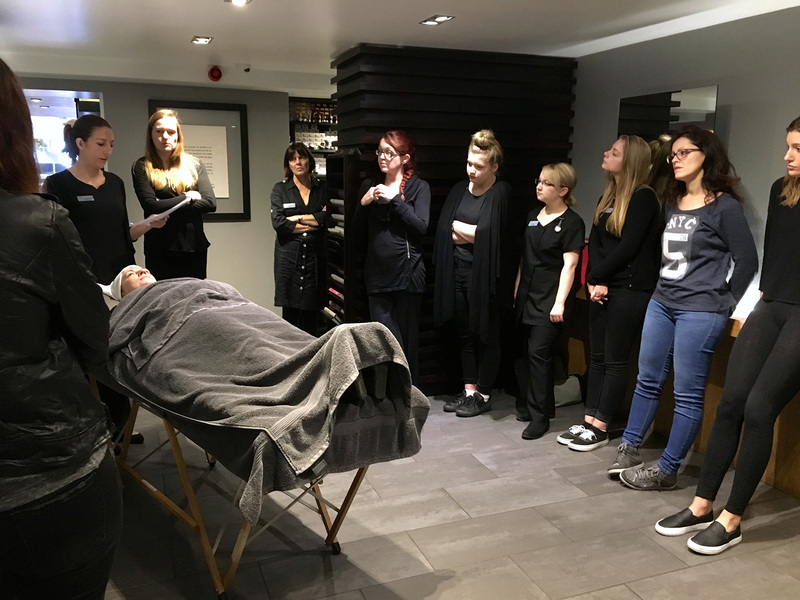 In the middle of October every year, we close the salon for the morning to have a Sally Adams Team Training morning. All the team come in and after enjoying some breakfast together we start with our training session. 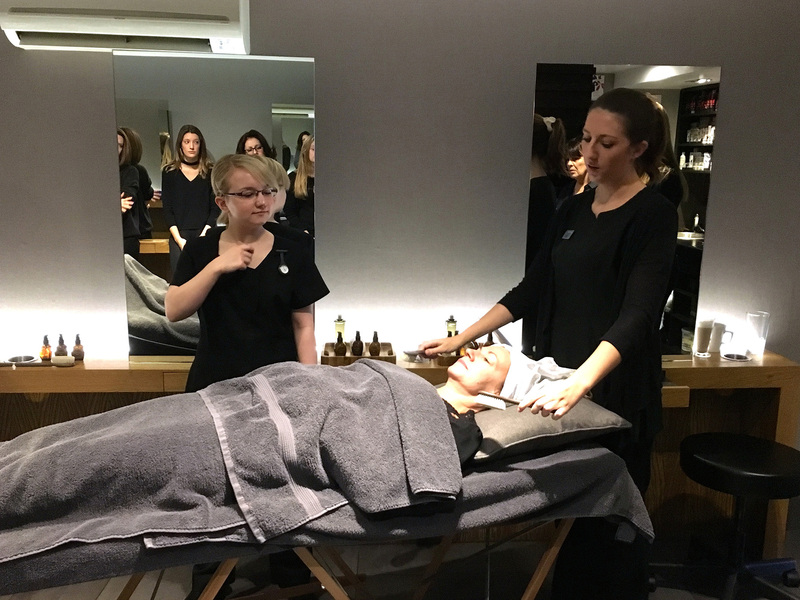 This year’s sessions started off with Linda, one of our Salon Coordinators, introducing us all to the fabulous new Aveda Chrsitmas Gift sets and products available for this year. 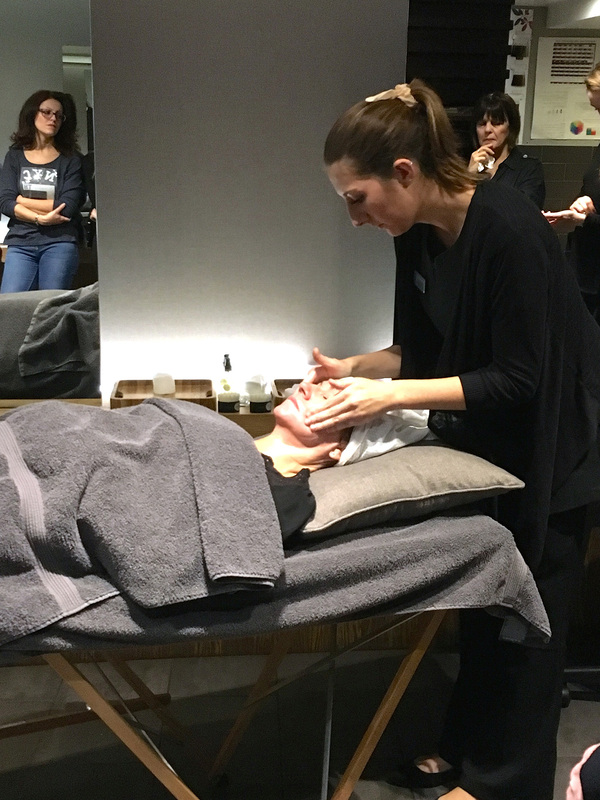 After this, we then watched Lauren, our most senior Spa Therapist, perform the new Tulasara Awakening Ritual, demonstrating how it is done in salon during a facial, at the same time as Kayleigh also demonstrated how to do this at home. 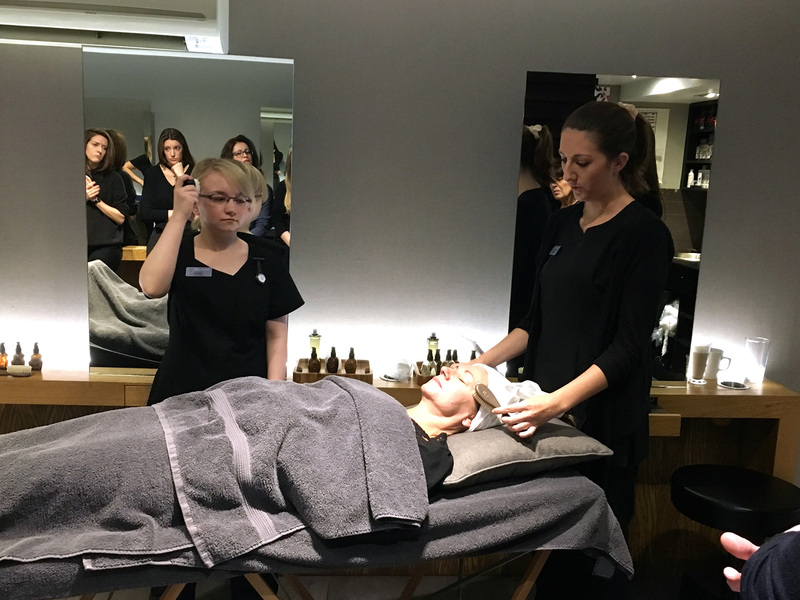 After performing the ritual and complete facial, Lauren also talked us through the new Tulasara Concentrates which are treatment serums. 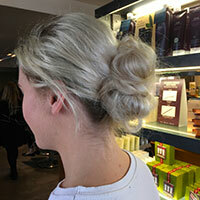 Please feel free to come into the salon for more information on these and a sample. 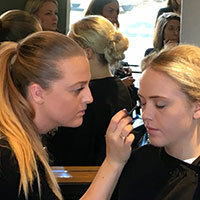 Aveda Make Up Products used - Cacao, Slate Shimmer & Gypsum Gold Eye Definers, Golden Jasper Eye shadow trio, Earth & Black Forest Moscara, Balsalm, Dusted Sage, Rose Quartz & Chia Eye Colours. or more photos and videos, please see our Facebook, Twitter and Instagram pages. 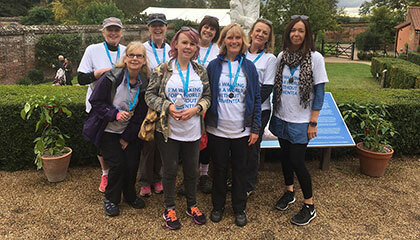 Marion, Jo and Fiona were joined by a few friends, all of which gave up their own time and walked the 7km Memory Walk at the stunning Painshill Park in Cobham on Sunday 9th October. Memory Walk sees thousands of people raising money for a world without dementia across England, Wales and Northern Ireland. 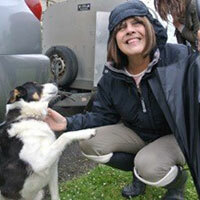 People of all ages and abilities join in, from grandparents to grandchildren, and even furry four-legged friends. They all walk together to celebrate loved ones affected by dementia, and raise money to reclaim the future. 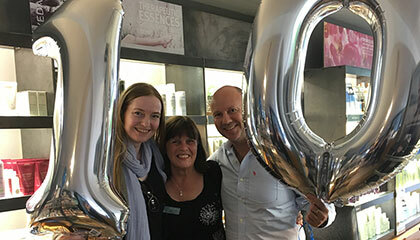 far Marion and the team at Sally Adams have raised in excess of £1000 which is amazing….HOWEVER we still have Raffle tickets available in salon at £5 each with 2 fabulous prizes to be won, If you would like to come into the salon to purchase one or two?! The raffle will take place on Saturday 22nd October all the money going directly to this extremely worth-while cause. 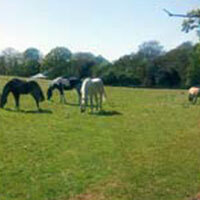 On Wednesday 18th May, Sally Adams held our Annual Team Day at the beautiful venue of Horsley Park. 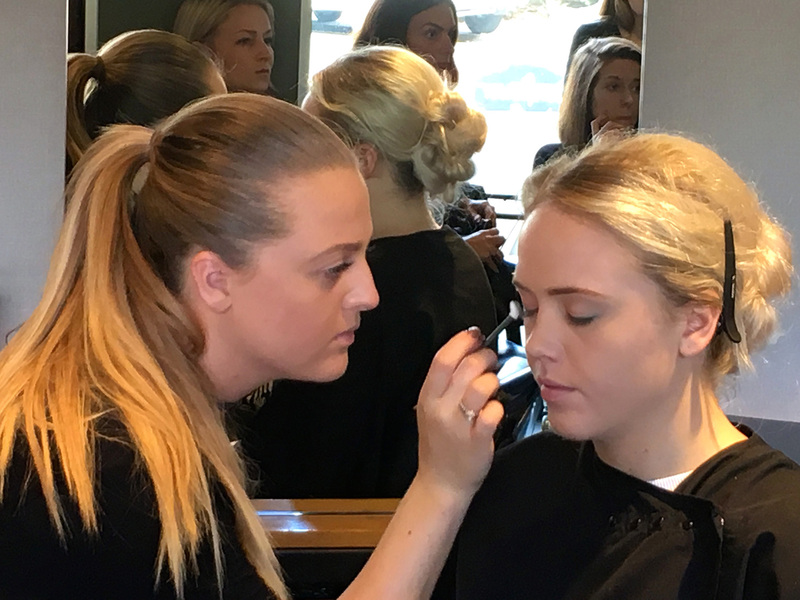 Every year we close the salon for one day to focus on our team and the business; working to ensure consistency and improve on the service we offer our guests. 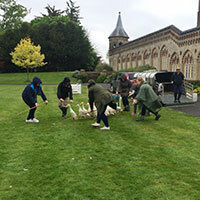 We chose Horsley Park as this year’s venue as it is local to Sally Adams and our team members and offered us a stunning space both inside, in The Grand Hall for our training morning, and outside for our afternoon’s team building activity. To be professional. - To be hard working and innovative. - To work as a team. 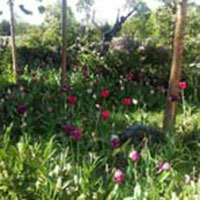 - To be environmentally aware. - To be open communicators. In keeping with our goals, this year we organised the day to focus on enhancing our Communication Skills. 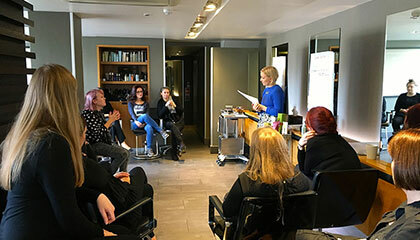 The morning session was hosted with the assistance of the training team from Aveda UK, where we learnt how to recognise and develop the different forms of positive communication actions and behaviours. 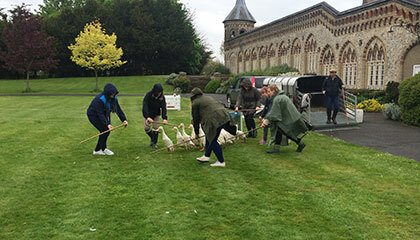 After a fabulous BBQ lunch we enjoyed something very unusual as a Team Building Exercise….Duck & Geese Herding; which was not only great fun but tied in appropriately to the theme of the day - communication. 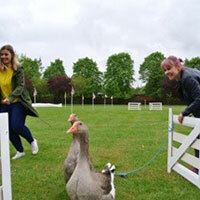 The link was not as obvious to some as it was to others - we had to listen to the verbal instructions and watch the demonstration by the trainer, then work as a team to ensure the dogs, ducks and geese completed the obstacle course as required. 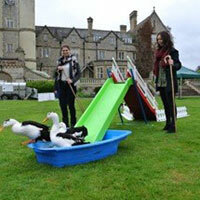 Everyone had a great laugh, albeit it was raining so we got a little wet. 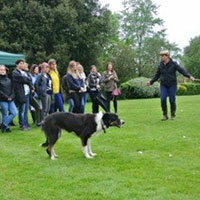 There were prizes for the team who performed the best as well as a special award to 'Herder of the Day'!! At the end of the day, Sally presented our Annual Prize Giving Awards which also recognises the great efforts of members of the Sally Adams Team. 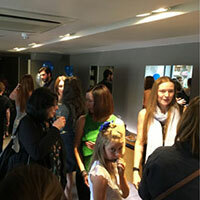 As a side note, while the Team were busy at Horsley Park, Adam was busy over-seeing a mini-refit at the salon. We have a great new wardrobe, improvements to the back-wash area and some other re-Instatement works following our flood over the New Year. 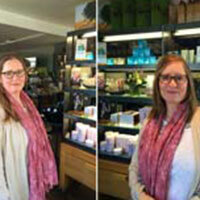 Sally Adams hosted for a group of local school teachers and support team, our first Stress Fix Event. 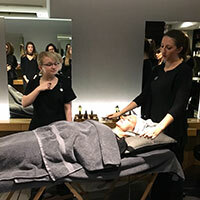 The purpose of the event was to introduce the Aveda Stress Fix services and products available in the salon and also stress-relieving techniques which can be used at home or at work; through massage and breath. After the lovely group of ladies enjoyed their welcome drink, Julie, our Spa Ambassador talked about the different types of stress, some of the day to day symptoms and how we can try to manage those symptoms/feelings. 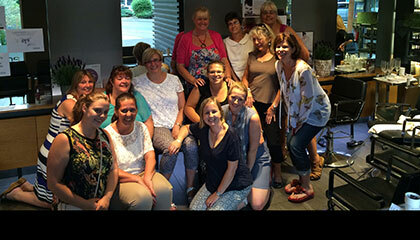 Adams team that took part; Linda, Carla, Lauren and Alison along with Julie performed Stress Relieving Rituals on the ladies; including Foot Rituals, Hand & Arm Massages and Neck & Shoulder massages. 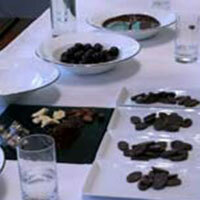 Available on the evening apart from Prosecco, was a selection of clinically-proven Stress Relieving nibbles, such as Almonds, Blueberries, Dark Chocolate and Dried apricots and well as cups of Aveda Comforting Tea. All the ladies left with a Goody bag and 2 lucky ladies won fabulous prizes in the raffle; consisting of a bag full of the fabulous Stress Fix products and a 60minute Stress Fix Massage. 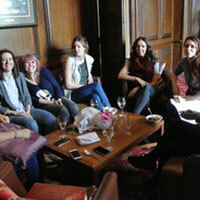 On Wednesday 13th May, Sally Adams held our Annual Team Day at the fabulous Coworth Park in Ascot. 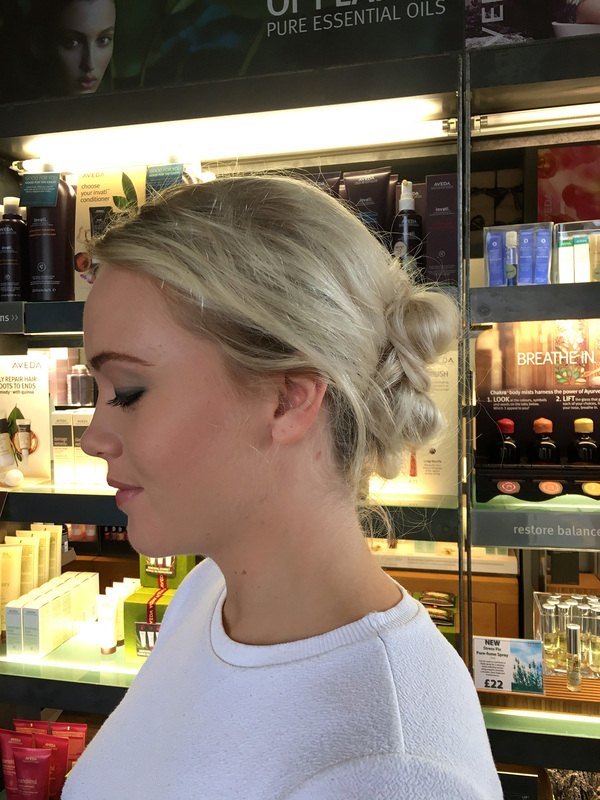 Every year we close the salon for one day to focus on our team and the business; working to ensure consistency and improve on the service we offer our guests. 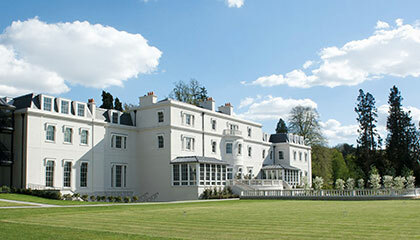 We chose Coworth Park in Ascot as the venue this year. 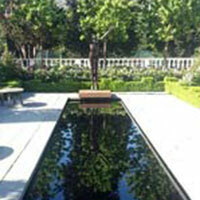 Coworth Park is part of the Dorchester Collection. The service provided by the staff there and the attention they pay to their guests is superlative - not to mention the magnificent surroundings. 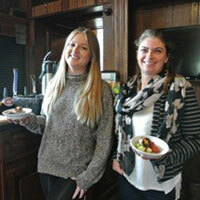 There is no substitute for experiencing excellent service. Our aim was for our own Team to understand how it made them feel and what we wish our guests to experience every time they visit us. 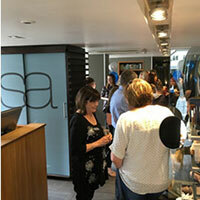 In keeping with our goals, this year we organised the day to focus on enhancing our Customer Service. 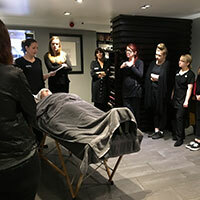 The morning session was hosted with the fantastic assistance of some of the Team from Aveda UK. 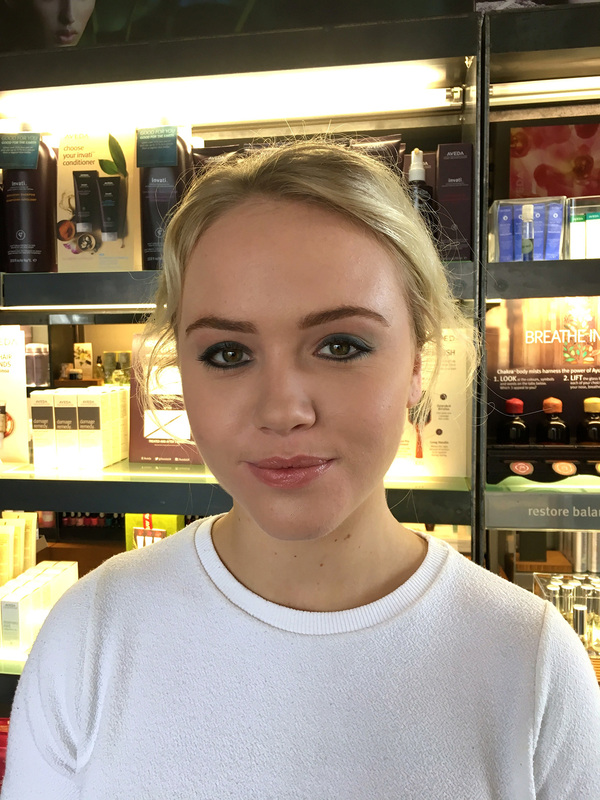 We were also lucky to have Ann Costelloe, one of the senior managers at Coworth Park, who kindly took time out of her day to explain some of Coworth’s philosophy behind promoting excellent service. 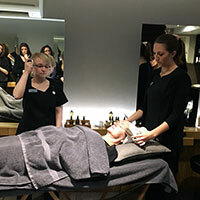 We had a great morning and felt very inspired and motived by the Aveda Team and Ann Costelloe. 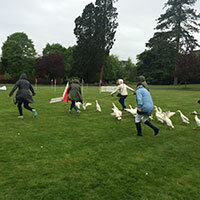 After a fabulous lunch in the glorious sunshine we enjoyed some Team Building exercises involving a beautiful walk around the grounds and adjoining polo fields followed by a fun session “Chocolate Tasting & Making Masterclass". At the end of the day, Sally held our Annual Prize Giving Awards to recognise the great efforts of members of the Sally Adams Team. 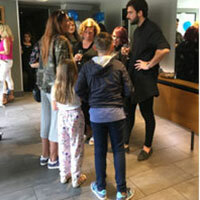 We raised over £460 as well as provided the charity with 21 hair donations; in total 190 inches of hair, all of which can be used to make wigs for children with cancer and other hair loss conditions. 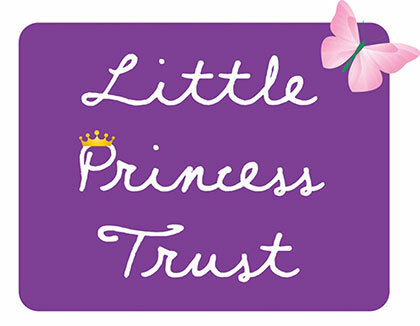 The Little Princess Trust provide real-hair wigs, free of charge, to boys and girls across the UK and Ireland that have lost their own hair through cancer treatment. 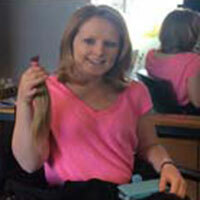 As a result of treatment for cancer, most children will suffer hair loss as a side effect. Some boys and girls cope remarkably well but for others this can be very upsetting. 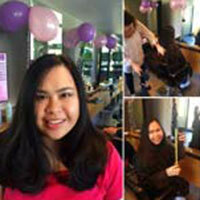 addition they assist children with other conditions which also result in hair loss, the most common being alopecia. Their commitment to these children is different. Despite being set up to help children with cancer, the Trust is able to supply children that do not have a cancer diagnosis with one wig. 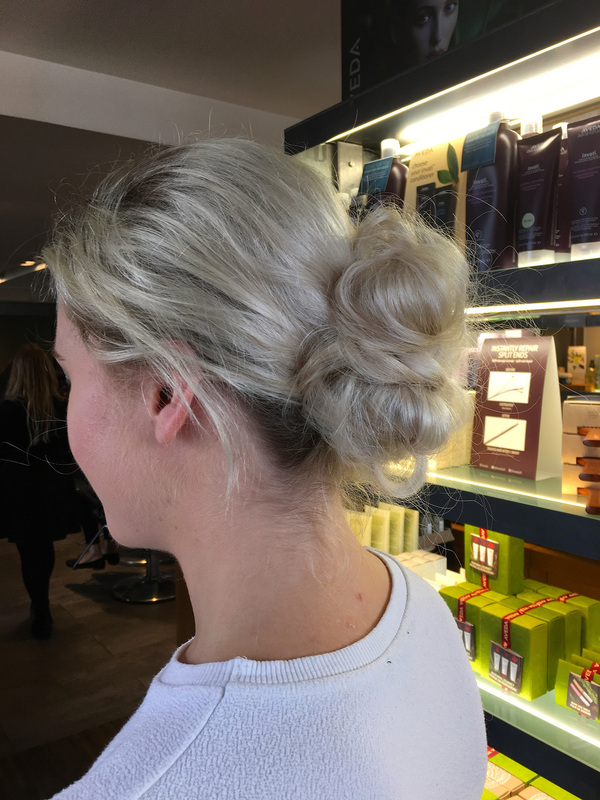 Whilst they are unable to commit to supplying more than one wig to each child, they hope that this gesture will help the family whilst they decide on their long-term plans for dealing with this condition. 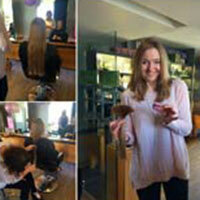 Thank you to everyone for not only their financial donations but hair donations too.